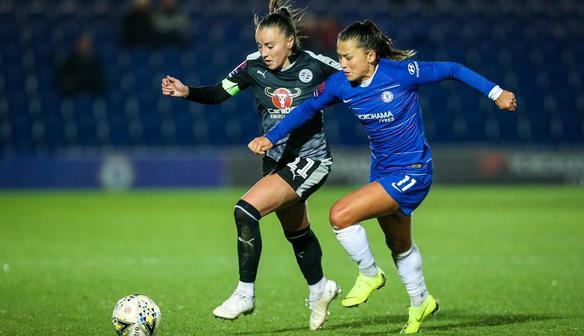 Reading bowed out of the Conti Cup at the Quarter-Final stage on a bitterly cold night at Kingsmeadow. Former Royal Fran Kirby starred with a brace as the hosts showed a ruthlessness in front of goal, winning 4-0. Chelsea started very much on the front foot and in the first minute Erin Cuthbert's shot was deflected behind for a corner. Moments later, they came forward again and a sliding challenge from Maz Pacheco unfortunately fell into the path of Kirby, who slotted past Grace Moloney; giving Chelsea a 3rd minute lead. The visitors grew into the game as it developed but almost fell victim to a swift counter-attack led by Kirby. She turned on the edge of the box before teeing up Bethany England, who was denied by Moloney at her near post. The Royals carved a decent opportunity of their own soon after as Pacheco's swinging delivery was headed straight at Carly Telford by Remi Allen. Chelsea doubled their advantage before half-time as Anita Asante was played through and finished well across goal. The Blues were hoping to add to their lead in first half stoppage time, but a first-time shot from Jess Carter was well held by Moloney. 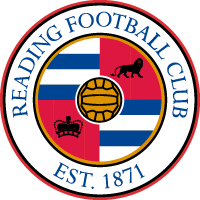 With a second half reaction needed, Reading weren't far away from halving the deficit on 53 minutes, but Brooke Chaplen's header was off target, following some excellent link-up play down the left. Despite a positive opening to the second half, Chelsea still looked a threat. The visitors were fortunate to see Sophie Ingle and Deanna Cooper both blaze efforts over the bar. Fran Kirby was inches away from scoring on the 73rd minute when her shot narrowly missed the far post, having been played through. Moloney was called into action seven minutes from time to hold Kirby's poke towards the far corner from 10 yards out. Moments later, some superb interchange between Kirby and substitute So-Yun Ji allowed the latter to take aim but saw her shot deflect wide off a Chelsea player. Kirby did add a third three minutes from time as she struck a fierce shot into the far corner from the right side of the penalty box. The win was then sealed by Ali Riley, capping off another devastating break by tucking the ball home into the opposite corner. "It's really disappointing to lose, and lose by that many. But, I think if people saw the game, in the second half, we controlled the game, and controlled the possession. We had chances, but didn't take them." "We're really disappointed but we changed formation to 4-3-3, something that we haven't done in a very long time. From not having many training sessions at it, I thought we played really well tonight; also considering the score."